Max Occupancy: 8 This Suite is awesome! 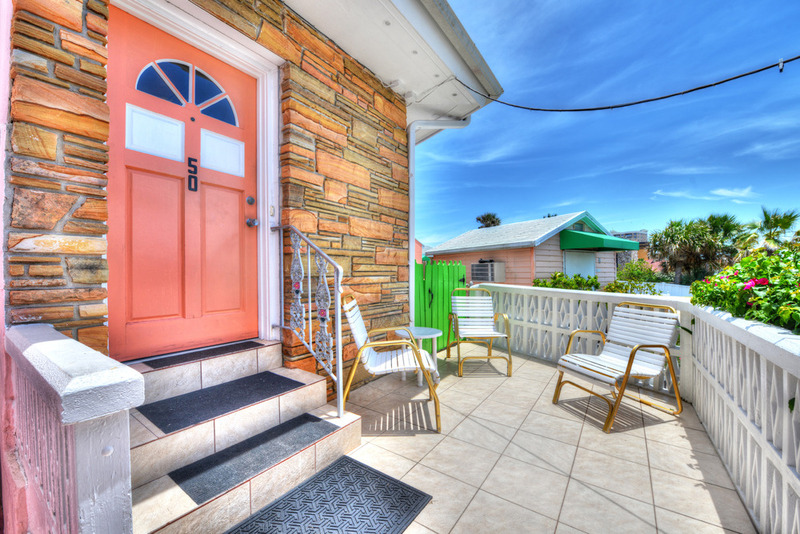 Beautifully Updated in 2015/2016 with Very Attractive NEW Carpeting, Bedspreads, Dining Room Set, and Living Room Furniture. Great Choice for an Extended Family or 2-3 Couples Traveling Together. 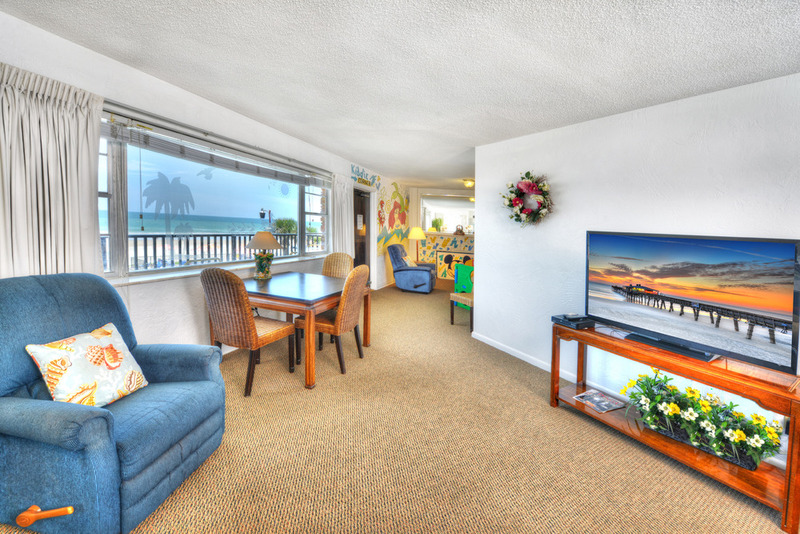 3 Bedroom / 2 Bath Suite #50 is attractively tropically decorated and boasts over 1,580 square feet of space on the oceanfront. Very Spacious and Private. 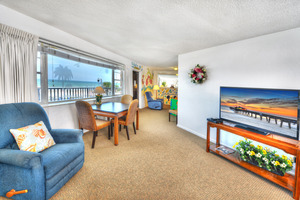 The Living Room provides beautiful ocean views and is perfect for a large family. 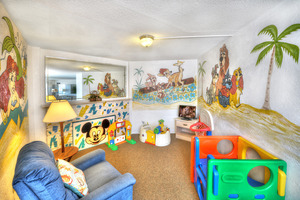 There is also a separate play area off the Living Room for very young children which includes a separate television. 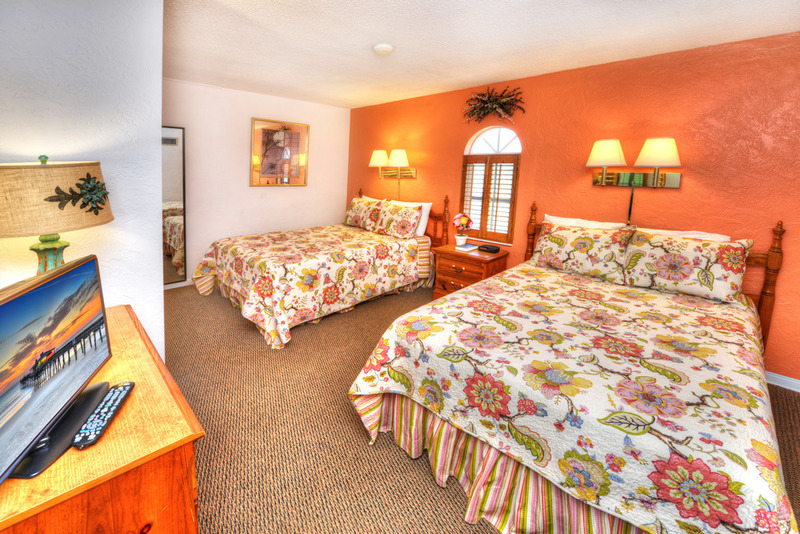 3 Beautifully Appointed Bedrooms including a Master Bedroom with a Queen bed and a separate bathroom. 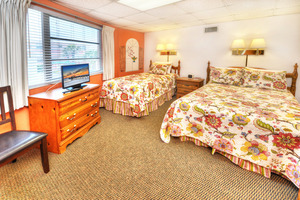 The 2nd bedroom features two double beds. 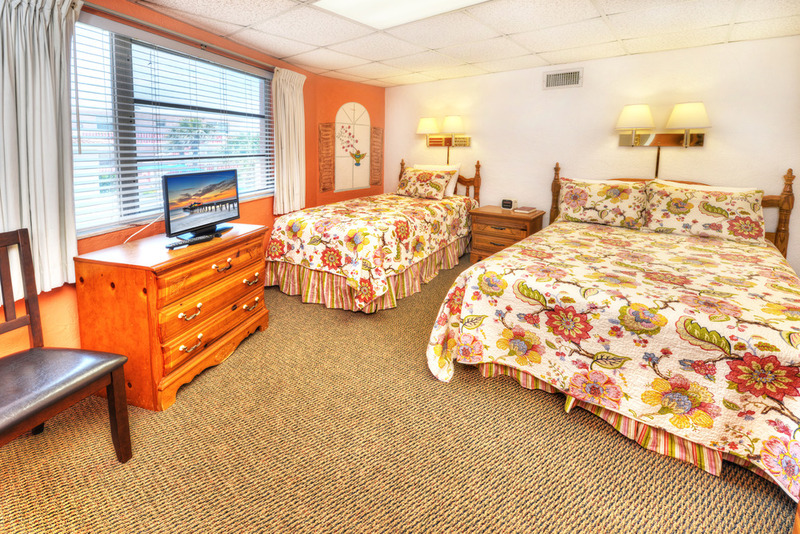 The 3rd bedroom has one double and one twin bed. There is also a second bathroom with a tile shower. 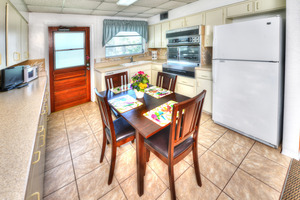 Large Bright and Cheery Eat-In Kitchen. 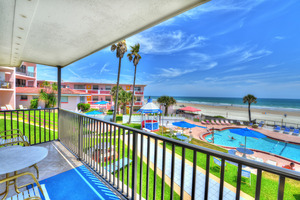 Spacious Private Oceanfront Balcony overlooking the pool and ocean. 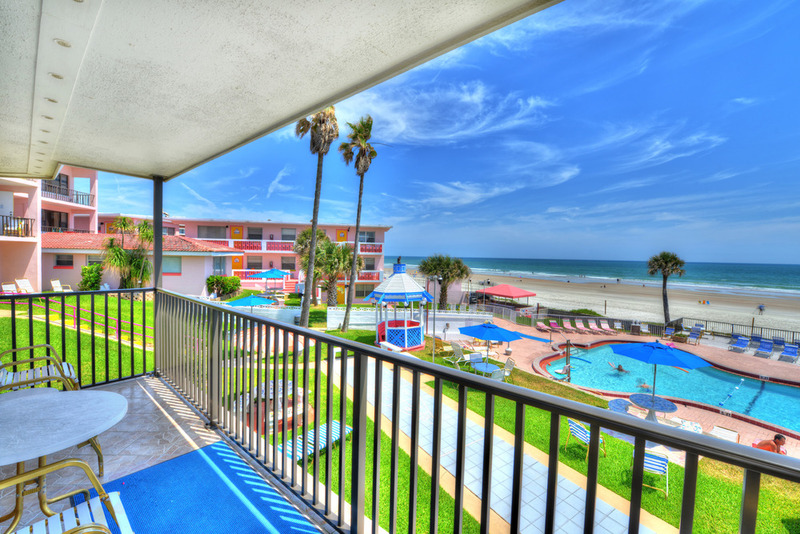 Separate walkway to the pool. 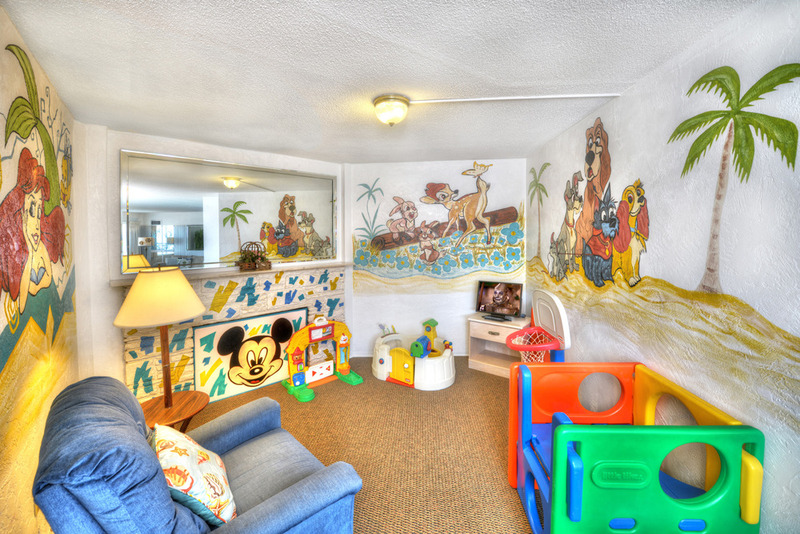 This is Just What You Are Looking For for your large or extended family. 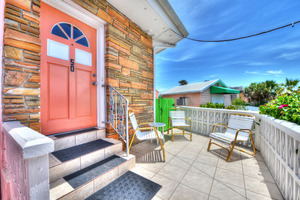 Lots of Space and Privacy at a Very Affordable Price. 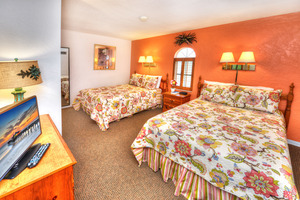 You will want to reserve this room every year! 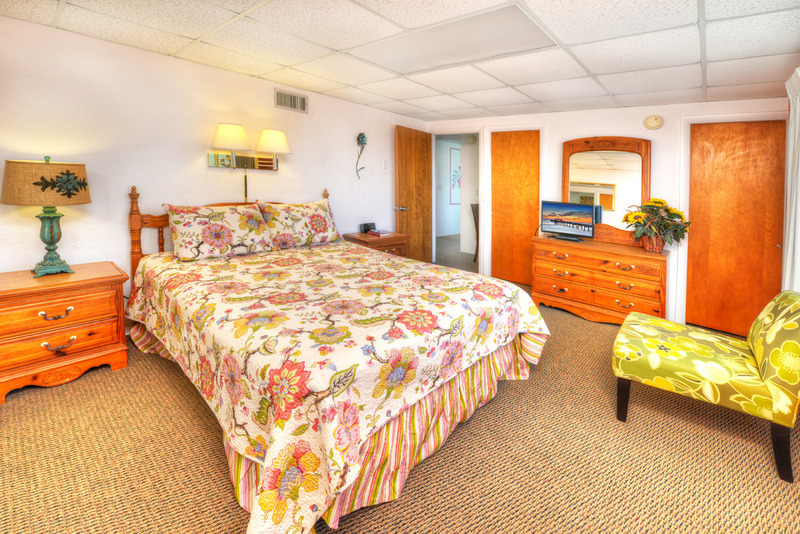 Room #50 is now available for Convenient Online Booking. 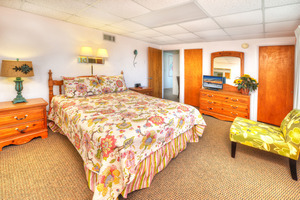 Or call us directly at 866-420-9882 to place your reservation.